FEDS Close Down File-Sharing Site Megaupload … FBI & DOJ Arrest 7 Charged with Copyright Infringement and Conspiracy … So Who Needs SOPA and PIPA? In what is being deemed the largest criminal copyright case, the US Justice Department and the Federal Bureau of Investigation have shut down and seized the Web site Megaupload. They have charged seven people for running an international enterprise based on Internet piracy. Four individuals, including the site’s founder, Kim Dotcom have been arrested in New Zealand, three others remain at large. They have been charged with five counts of copyright infringement and conspiracy. Megaupload Ltd. isbased in Hong Kong, and its collection of websites generated more than $175 million in criminal proceeds and caused more than half a billion dollars in harm to copyright owners. In what the federal authorities on Thursday called one of the largest criminal copyright cases ever brought, the Justice Department and the Federal Bureau of Investigation seized the Web site Megaupload and charged seven people connected with it with running an international enterprise based on Internet piracy. Coming just a day after civil protests in the United States over proposed antipiracy bills, the arrests were greeted almost immediately with digital Molotov cocktails. The hacker collective that calls itself Anonymous attacked the Web sites of the Justice Department and several major entertainment companies and trade groups in retaliation for Mega-upload’s seizure. The Justice Department’s site and several others remained inaccessible for much of Thursday afternoon. 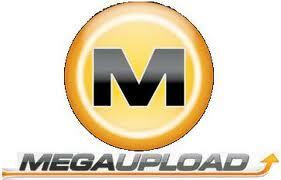 Just curious, if the Feds could take down an uber web site like Megaupload, what do they need SOPA and PIPA for? So what is the need for SOPA and PIPA. Let me rephrase the question to the US Congress, what is the real reason for SOPA and PIPA?As stated at Gizmodo, it would appear that you did fine with the laws that are presently in place. UPDATE I: REVENGE OF ANONYMOUS … Anonymous Goes on Megaupload Revenge Spree: DoJ, RIAA, MPAA, and Universal Music All Offline. Yikes, knocked off line it the websites of the FBI, U.S. Department of Justice. WOW, talk about carnage and laying waste to everything in Anonymous’ path. Statement from Anonymous.